* Lack of intelligence -- Trump likes to brag that he is a genius, but that is far from true. That is exhibited on a daily basis by his incessant lies. He lies about things that are easily disproved. That may please his base (because those lies are what they want to believe), but the majority of Americans don't like it -- and they don't think a truly intelligent person would tell such obvious lies. And how smart is it to attack someone who has donated many millions of his own money to help the children (and parents) in his community? 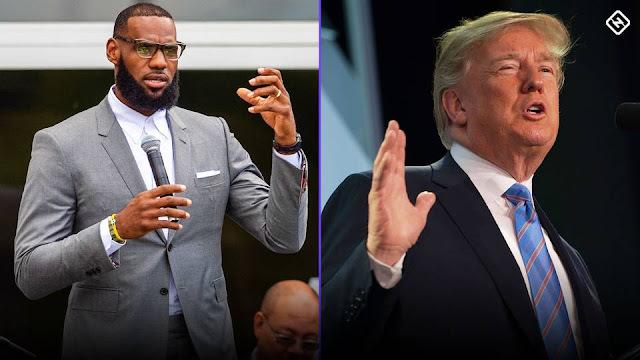 * Racist -- Once again, Trump has attacked a black athlete. This is not the first time (and probably won't be the last). This is nothing new, and not just limited to Blacks or athletes. He has a history of racist activity going back to the 1970's. This is just the latest example. Once again, it appeals to his base (who love having someone validate their own racist views), but doesn't go over well with the majority of Americans. * Greed -- It's easy to understand why Trump thinks someone giving their own money to help their community is "dumb", because that's something Trump would never do. Money is everything to Trump. He's the epitome of "I've got mine, screw you". You can see it in the way he conducted business (perpetrating frauds and failing to pay his bills), and in the way he has governed (with policies that help only himself and his rich friends). Even the "charity" he created was nothing more than an effort to avoid taxes. Nothing went to actual charitable causes, but instead, it was just a tax-free piggy bank for him to dip his dirty finger into. 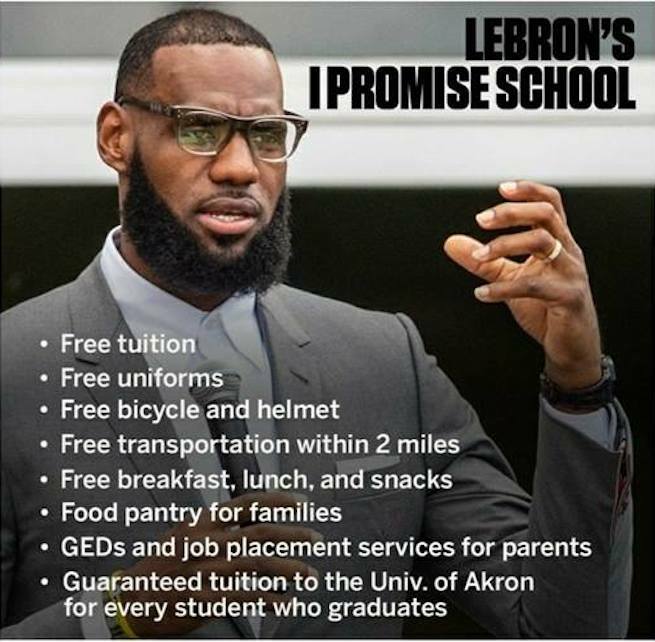 Decent people applauded LeBron James move to spend millions to help his community. Only a stupid, racist, and greedy person could find fault with it. But those are all traits that Trump has in spades. Altruism is beyond Trump's capability to understand.